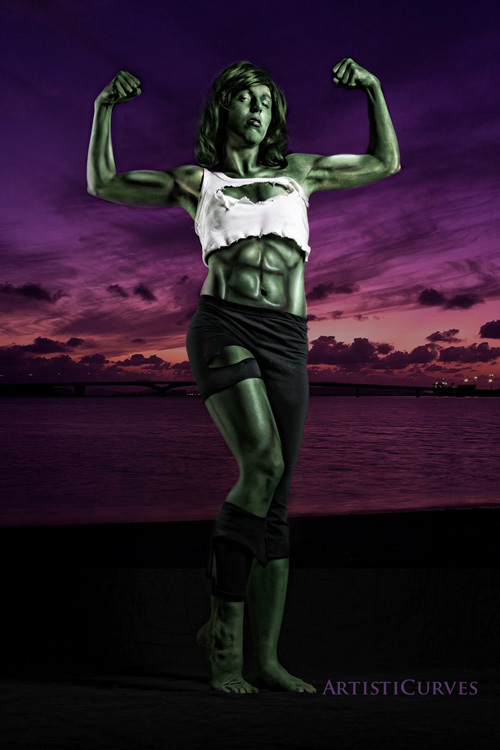 "Being a little bit of a fitness freak, it�s always appealing to be painted up with huge muscles. This body paint was no exception. 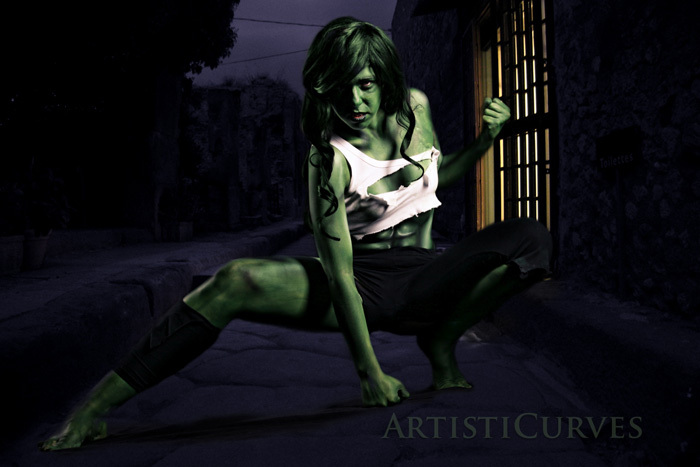 She-Hulk is the ultimate powerful female (well, maybe other than Wonder Woman), so to get to do this paint was really great. The shots turned out great, this is definitely something that I�d like to turn into a costume to wear to conventions."